As an international firm of consulting engineers, our work in building services will inevitably have an ongoing impact on society and our environment. But, by improving the quality and efficiency of the way we operate today, we can be a force for positive change in the world we leave to the next generation. Our aim: to embed responsibility in everything we do. 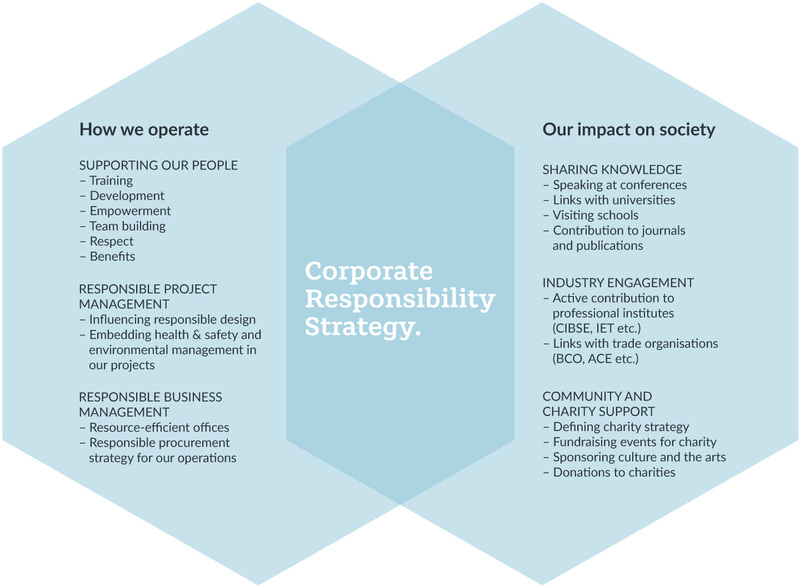 Our Corporate Responsibility (CR) Steering Group meets three times a year to help develop our Corporate Responsibility strategy. By debating and considering specific objectives and targets for improvement, the group ensures a forward-thinking, proactive approach to social responsibility. Our CR Steering Group guides our organisation to be a positive influence over both the way we work and the wider society in which we live.